Leave a miracle finish that promotes safety by creating a clear path of visibility and no fogging. This windshield cleaner leaves finishes polished so dust and grime does not build up on the cleaned surface. 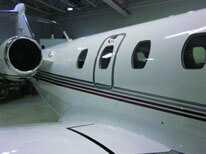 Available is multiple size containers for ease of application to your plane, boat, or motorcycle windshield. Choose the small packet for a trial size single use application. Does not require water, just apply, let dry and remove in minutes. 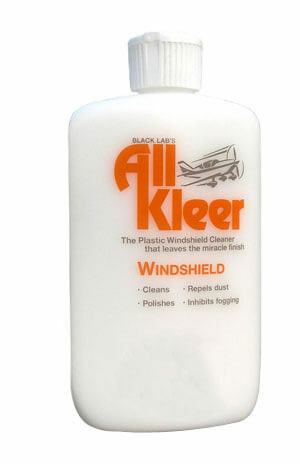 Windshield cleaner makes a slick finish that does not permit bugs or grease to accumulate. 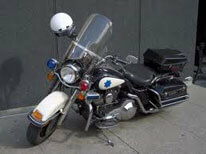 Great for police motorcycle fleets, passenger jets, or the eisenglass of your boat. Like other biodegradable cleaners, this product is safe because it contains no ammonias. Its intended for plastic windshields. If you need something for glass windows, see our selection of all-purpose cleaners. Cost effective, lower cost compared to other windshield cleaner alternatives. Single use trial size available. Promotes safety, No harsh ammonias, wax, or abrasives. Inhibits fogging. Non-pressurized bottle. 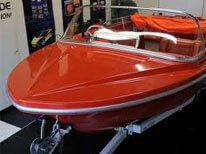 Minimizes liability, does not allow dust or dirt to accumulate with its very slick finish. Easy to Use, no water needed. No leak top. Apply with a cloth, let dry, and wipe off. Fast! Highly effective in field test, motorcycle riders association give an excellent rating. Very simple application, just shake and pour on the surface generously. Spread and rub with a soft cloth. Let dry, polish and clean with another soft dry cloth. Leaves a clean and polished surface that repels dust and grime. It also resists fogging for safety in operating the vehicle. Perfect for cars, boats, and motorcycle windshields or helmet lenses, eyeglass lenses, scuba or ski masks. Polishes - Nothing sticks but the shine… and improved vision. You can see and feel the difference. Repels Dust - Super-slick finish doesn’t allow dirt and dust to accumulate. Makes cleaning easier the next time. Safe - No ammonia, wax or abrasives. No water needed. Convenient - non-pressurized 8 oz. size bottle with no-leak top is perfect to carry onboard your airplane. Helps Inhibits fogging - Unique finish helps inhibit fogging. Creates a zone of clear visibility! Water soluble, environmentally friendly soda blast cleans paint and can be used as a degreaser. This non-hazardous solution removes adhesives, paint, duct tape, liquid nails, lubricants etc. Learn about multiple uses of window squeegees. Use a water broom with your power washer to save time.